One of the greatest challenges faced by low-income youth is entering the labor market. More than 50% of residents in the Maré neighborhood are children and teens under 21 years of age, a population with an average level of educational obtainment of only four years. There is therefore a tendency for these youth to become part of the large contingent of “neither studying, nor working” – a circumstance which, according to the Brazilian Institute of Geography and Statistics, today describes one in five young Brazilians aged 15 to 29. 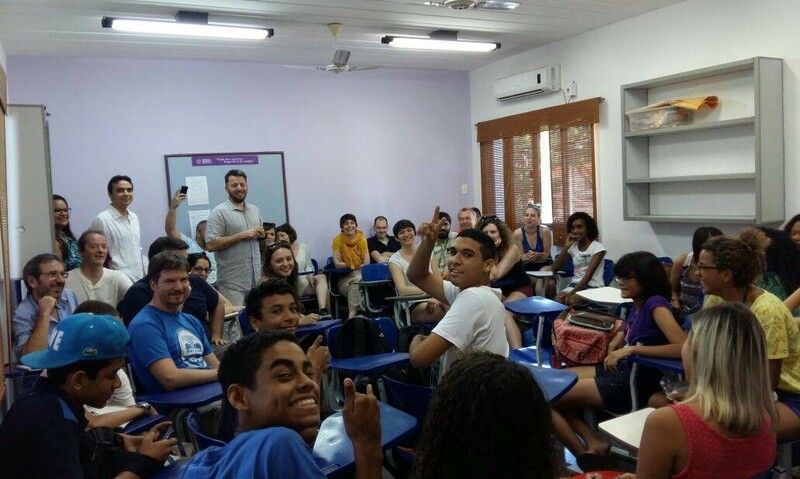 To increase basic educational attainment and expand employment opportunities, Redes da Maré created a preparatory course for high schoolers. The goal of the course is to promote their access to quality public education institutions. • Encourage students to stay in school past the elementary level.